With the real estate market in the condition it’s in, buyers these days are looking to get the best deal possible. In most markets, housing prices are still extremely affordable and interest rates are low, so buyers are able to get more house for less money. However, these conditions are starting to cause a decrease in inventory, especially foreclosure inventory, in many areas, which means prices may soon be on the rise. Even though all of this is true, Business Insider recently named Durham as one of the 10 hottest cities for investing in foreclosed homes. According to RealtyTrac, home sales prices in the area increased by almost 20 percent between the first quarter of 2011 and the first quarter of this year, but the average foreclosure sale price remains around $150,000. This price is considered an almost 25 percent discount when compared to pricing on a North Carolina new home. 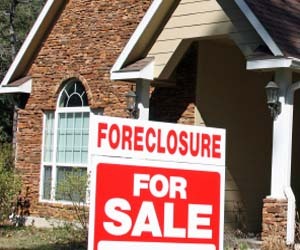 However, foreclosure buyers need to act quickly because the company predicts that the foreclosure inventory is down to almost only 11 months of supply. The only other southern city to make Business Insider’s list is Montgomery, while the rest were confined to Massachusetts, Washington, California, Ohio, Arizona and Rhode Island. This entry was posted in Featured, North Carolina and tagged business insider, durham, foreclosures, north carolina new homes, realtytrac on August 14, 2012 by Carol Morgan.